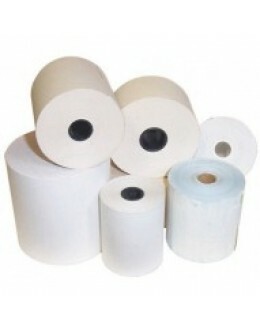 If you are searching for non- thermal till rolls for your cash register, find our full range below. Till rolls direct from a UK manufacturer. 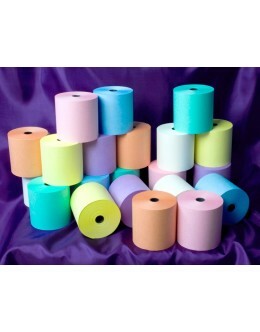 Colour Laundry / Dry Cleaning Paper rolls, Single pl..
Colour Laundry / Dry Cleaning Paper rolls, Single ply 80gsm roll offered in a range of sizes and col..
Till rolls direct from a UK manufacturer. Single ply 80gsm roll offered •76mm x 76mm - 12mm..
Till rolls 44 x 80mm 1 ply A grade.Quality and price.Next day express delivery available. &nb..
Till rolls 57 x 57mm 1 ply A gradeQuality and price. Next day express delivery available. .. 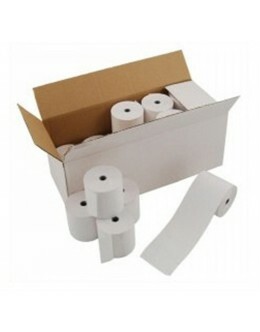 In some industries, particularly catering, printers which take non-thermal till rolls remain the most popular choice. Normally these printers are based on dot-matrix technology, but some use ink jets. Either way, you may be familiar with the way they work which is the same as many home and office computer printers. Both types of printer are very much tried and tested, with dot-matrix technology dating back to the 1920s and inkjet printers to the late 1960s. Thermal printing didn’t come along until the 1970s. The cost of till rolls for these older types of technology tends to be slightly less than for thermal printers. That’s because it doesn’t have to use specially-coated paper. For the same reason it can be a little easier to recycle non-thermally printed receipts. Although the paper may be cheaper, users of non-thermal printers have to factor in the cost of replacement ribbons or ink cartridges. The way dot-matrix printers work using a grid of tiny pins to hammer an inked ribbon to create letters, numbers and images makes them potentially unreliable. Over almost a century of development however, the technology has become pretty robust despite the number of moving parts. Many of our customers are still happily using non-thermal printers they’ve had for decades, as they see no need to replace them. In some workplaces they remain an ideal solution. 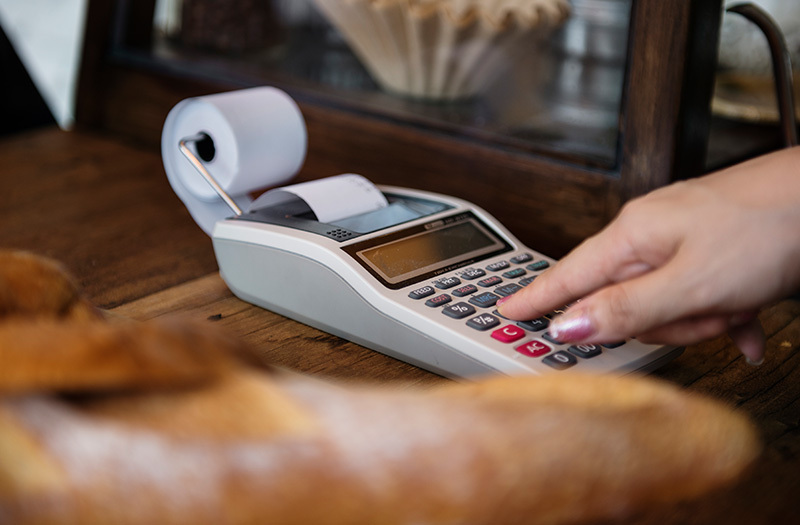 There are some key reasons why the non-thermal printer thrives over their thermal counterparts. One advantage is that non-thermal impact printing allows for the simultaneous production of copies. This is because, although thermal printers can print multiple consecutive copies, they cannot print duplicate or triplicate copies simultaneously. 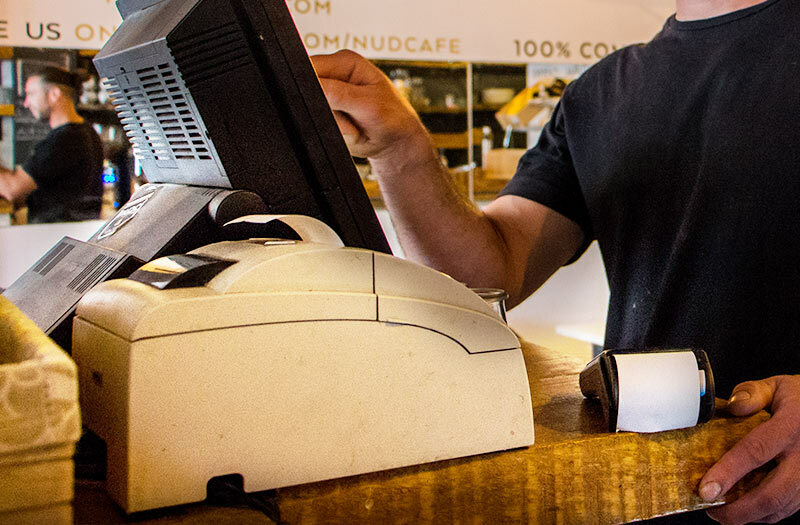 In much of the restaurant trade in particular, multiple copies are required for the kitchen staff, waiters, front of house and accounts. Non-thermal rolls provide the robust, tried and tested solution, allowing each staff member to be able to get the information they require. Secondly, in the restaurant-type environment, mainly non-thermal till rolls are used in ink-based dot-matrix impact printers. These printers which use ribbons are more suitable and robust than thermal printers for working in hot humid environments such as kitchens. The paper also tends to be thicker and more resilient to smudging from, for example, greasy fingerprints. This is where the product category and name has come from... Kitchen Printer Rolls. At the Till Roll Superstore, we always carry a plentiful stock of UK paper rolls and ribbons suitable for non-thermal printers. We can advise on the best options for your requirements and if you are in doubt, call us on 0333 323 2701 any day Monday to Friday from 8.00 to 17.30; tell us the brand and model of your printing equipment and we’ll find the perfect premium quality till roll supplies for you, at the best possible prices. If you are unsure of what till rolls you require, call us on 0333 323 2701 any day Monday to Friday from 8.00 to 17.30. Tell us the brand and model of your printing equipment and we’ll find the perfect premium quality till roll supplies for you, at the best possible prices.